The story takes place in the near future in a city called Heartland. The story focuses on Yuma Tsukumo, a young player of the Duel Monsters who strives to become the a champion at the game, despite being an amateur. One day, during a duel with a school bully, a mysterious spirit called Astral appears before him, and helps him to win. 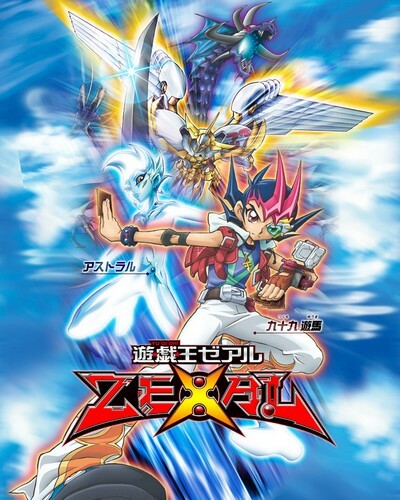 Astral explains to Yuma he is searching for his lost memories, which have been transformed into 99 Xyz Monster cards called "Numbers" and have been scattered across the globe. The Numbers have the ability to possess the duelists who own them and bring out their darkest desires. In order to recover his memories, Astral teams up with Yuma in order to recover the Numbers cards. However, they must not only compete with the Numbers Holders, but also the Numbers Hunters, who seek to claim the Numbers cards for themselves in order to destroy Astral's homeworld. The following episodes are RAWs with Subtitle files. You have to manually load the subtitles into your video player. VLC and MPCHC support subtitles.